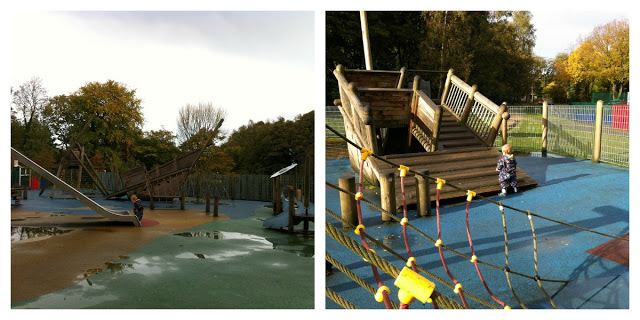 One of my favourite things to do with Lucas, if we are up and ready early enough, is to go to the playground before anyone else gets there and we have the whole place to ourselves. He is still quite little but loves to wander around so when it is just us I can let him have a free reign without the worry he will get knocked down by older children or that he will stand in the way of the slides and swings. Last week it had been raining but cleared up and we were ready to go the park. 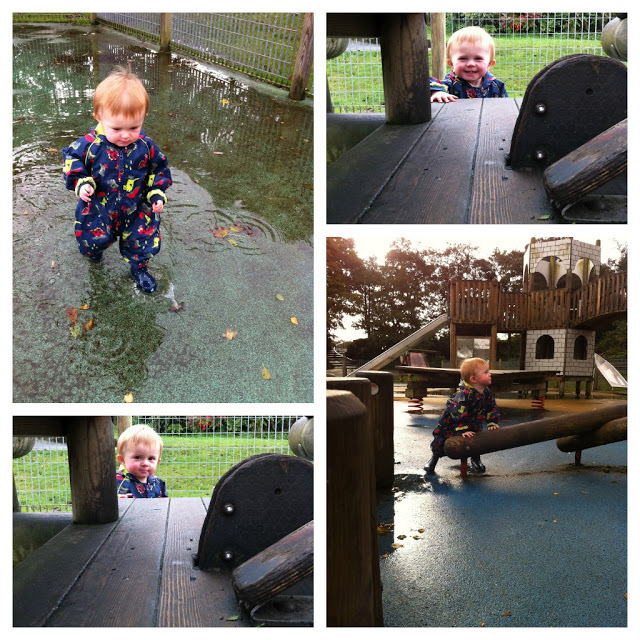 I got him dressed in his puddle-jumper suit and wellington boots; we set off and luckily found the playground deserted. Perfect for Puddle Jumping Fun! It was such a perfect morning and I spent most of the time grinning like a Cheshire Cat as my lovely little boy toddled round. It was such a joy to watch him discovering the water and splashing in the puddles; he chuckled away when Mummy joined in with the splashes. We spent ages there and as I walked home I thought how much fun we had doing something so simple. I felt so happy for the rest of the day and I’m so lucky that I get to spend quality time with him, seeing him develop and learn new things. It was such a proud Mummy moment that I had to share our little adventure; these are moments that I will never forget. Love this post and I really need to get Dylan an all in one waterproof! We went to the park when it was wet last week and loved having the whole thing to ourselves as D is still practising walking and falls over a lot. Looks like Lucas really loved it!